Boasting unmatched driving dynamics and capability, in addition to an array of premium amenities, the Durango easily comes out on top of its segment. The Durango is the biggest SUV offered in Dodge's lineup, with seating for seven, and it is available in three different trim levels; the SXT, Limited and R/T levels. 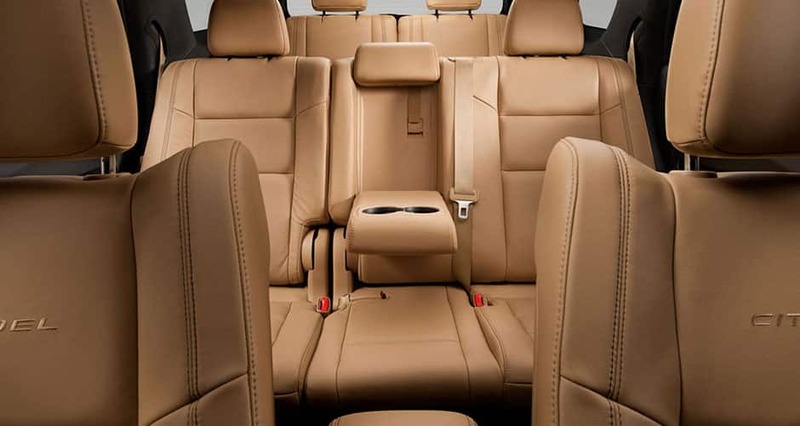 The Durango competes with the Honda Pilot, Chevrolet Traverse, and Ford Explorer. For 2015: A Dr. Dre Beats audio system comes standard on both the R/T and Citadel levels, and is now available on the Limited level. There is also wider availability of two appearance packages, in your choice of Blacktop or Ralleye. The Durango's standard engine is a 3.6-liter V-6 engine (on the SXT and Limited), and it produces 290 horsepower. The 3.6-liter boasts 295 horsepower on the Ralleye, Blacktop, and Citadel packages. Finally, there is an optional V-8 engine which is 5.7-liter and produces 360 horsepower. The Durango has a great maximum towing capacity of 7,400 pounds, and all of the Durango's engines are linked to the eight-speed TorqueFlite automatic transmission. The Durango also offers options to improve your riding experience, including an available trailer hitch receiver, a capless fuel filler, and steering-wheel-mounted paddle shifters. The exterior of the Durango has a multitude of features that make it an eye-catcher, with a dramatic and aggressive styling. Customers have their options of 18- or 20-inch wheels, projector beam headlights, high-intensity-discharge headlights, a power sunroof, as well as a rear window wiper and defroster system. The Durango boasts a beautifully designed interior, with a 7-inch LCD screen instrument cluster just behind a three-spoke steering wheel. There is also a standard 5-inch touchscreen Uconnect multimedia system or optional 8.4-inch touchscreen, which instantly keeps drivers and passengers to connected to the outside world yet safe. The Uconnect media system has navigational and media systems, and there are also available Blu-ray and DVD entertainment players available. The Durango provides remarkable safety and security features, with standard side curtain airbags, seven total airbags, as well as driver's knee airbags. Available optionally is a mitigation system, forward-collision warnings, a blind spot monitoring system, emergency communication system, and cross-path detection. 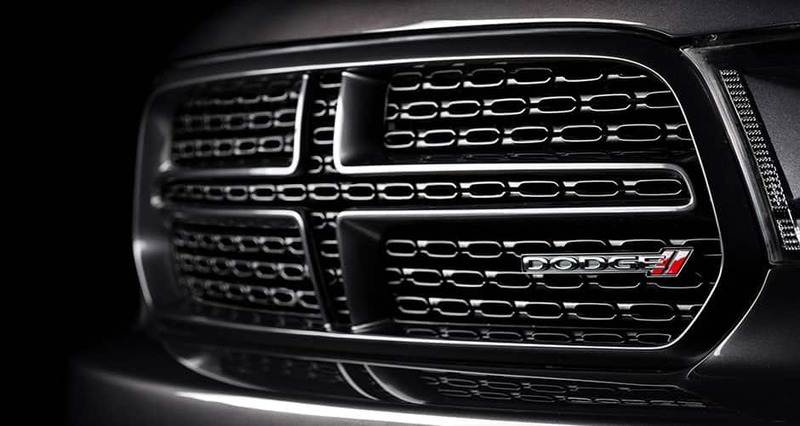 Have any questions about the functional and capable 2015 Dodge Durango? Give us a call, or fill out the form below, because we would love to discuss the exceptional model with you!